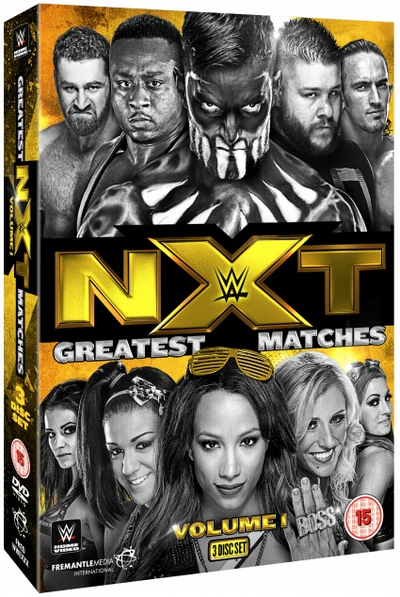 This is a 3 disc set that covers August 2012 to October 2015 and features among others Sami Zayn, Adrian Neville, Kevin Owens, Sasha Banks and Finn Balor. The early matches of this set includes the crowning of the very first NXT champion in a match between Seth Rollins and Jinder Mahal which was a fine and acceptable match greatly helped by the fine work of William Regal on commentary. Rollins drops the title to Big E Langston in a match that acts as a farewell to The Shield who's outside interference finally led to the rest of locker room coming to Big E's aid and allows a fair fight and a new champion. The rest of the first disc concentrates on matches between NXT and WWE talent, the match between Chris Jericho and Bray Wyatt was worked very well and had a good crowd reaction, but it's Cesaro that is the star of the show as he faces off against both NXT's favourite babyface Sami Zayn and the legend that is William Regal. Cesaro vs. Zayn is particularly good as the fans really see Cesaro as a star and he works great as the big cocky bully mocking the underdog expertly played by Zayn and the 2/3 falls match delivers from start to finish. Match probably would be about ****1/4. The match against William Regal is also really well done, NXT fans see Regal as their legend and the dynamic of seeing him facing off with Cesaro works differently to everything else as it delivers a different kind of drama. The only disappointment was Paige beating Emma to become the first Women's champion. They try and sell it as a major turning point in how WWE see women's wrestling but in truth it's not very good. Another championship match opens things up, as Adrian Neville defeats Bo Dallas in a very safe ladder match. It's amazing how differently Dallas is portrayed and to the NXT fans he is a star but this match is a showcase for the impressive high flying Neville. Speaking of championships, Charlotte faces Natalya to claim the vacant Women's title. This has extra interest as they have Ric Flair and Bret Hart in their respective corners who add to the match but don't do anything to steal the girls spotlight. Natalya does a great job of carrying Charlotte in this singles match and the fans respond really well to it. The real highlight of this disc is the journey of Sami Zayn to the NXT championship, first off is a singles match against Tyson Kidd which is entertaining especially with Tyson's arrogant attitude coming to the fore and finally leading to his downfall. This leads to Sami Zayn getting his title match against Neville although he had to put up his career on the line. The atmosphere for this was superb and unique with the fans absolutely believing in Sami's story. The match is fantastic and after many twists and turns which all played from the back story the NXT crowd got to see the guy finally achieving his crowning achievement. We also get the post match celebration and the surprising attack by Kevin Owens to set up Zayn's first title programme. From the ring entrances to the post match attack this was really well done. I'd rate this about ****3/4. Kevin Owens title winning match against Zayn starts the final disc, considering how these two have worked together elsewhere this was a bit strange to be honest. Kevin basically took the entire match and it really effected how the fans reacted to it, at over 20 minutes it's a long time for an extended squash. Worse still the fans weren't quite sure how to react to the referee stoppage finish. 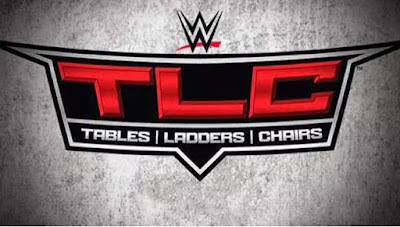 The Cesaro vs. Neville, Tyler Breeze vs. Hideo Itami both suffered from a lack of commentary. The Itami match also was shot on one fixed camera which was bizarre considering it was at the biggest NXT show at that point. NXT personalities Enzo and Big Cass are up next in a 6 person tag with Carmella against Black & Murphy with Alexa Bliss. This isn't that good but there's no denying that Enzo and Cass are definitely over with the fans and add something a bit different. Finn Balor and Kevin Owens have a very strong and entertaining match in Tokyo as a part of the 'Beast in the East' Network special and this is better than the Zayn title match as Finn actually gets his fair share of offence, Owens though is the star to me as his heel mannerisms and work in general was top notch. It wasn't a big surprise to see Finn get the win as Owens had already debuted on the main roster beating Cena so this was his NXT farewell. Sasha Banks vs. Bayley from the SummerSlam weekend is the highlight of the final disc, it's clear that the WWE really want this match to be seen as a major historical match. Bayley is a great babyface and offers something that none of the other wrestlers in the women's roster has. She can connect in a different way and the same likeability as Sami Zayn. The match is excellent and with a clear and well told story and its an happy ending as Bayley's journey from naïve girl to champion as a fitting conclusion. After the match Bayley, Sasha, Charlotte and Becky Lynch all pose together and at least for NXT women's division it's the end of one era and a start of a new one. I'd rate the match at ****1/2. In conclusion this is a very good introduction to NXT for wrestling fans that haven't been following them but is worthy compilation that NXT fans would want to have as well. Recommended. So, the annual Best Of series is, at its essence, a selection of matches from across 2015, this time from the weekly Raw and Smackdown television shows. Whether the many matches on show here would be a part of the “best of” list of the WWE Universe is open to opinion though, if Michael Cole’s commentary is anything to go by, the WWE Universe is a hugely positive place. Some of these “best of” matches are better than others, but that’s the nature of having so much content available week after week - the collection avoids any gimmick or low-brow comedy, focusing on the bigger stories that WWE have told through 2015. With it’s pretty much match-of-the-show approach, there’s plenty of content here, but very little context - video segments pop up every so often to give us a recap of other events, and the WWE Universe even get their say, but there’s far too little of it. Thankfully, WWE have excelled at providing commentary that brings viewers up to speed, even if you do have to pick apart the disparaging remarks to find the story. There were, however, some truly noteworthy moments - Sting appearing on WWE TV; Paige, Kevin Owens, Kevin Owens, Sami Zayn and Neville making an impact and shaking up fan opinion; AJ Lee, Daniel Bryan and Tyson Kidd showing why the fans want them back so much; and many other special moments amongst the marquee names that the WWE regularly offers. We dip into the stories of Rollins and Ambrose, Cena’s presence at the top of the tree and how passionate the fans are in his opinion of him, the appearances of Lesnar, Ryback’s wave of destruction, Sting’s appearance on WWE TV and touch upon The Undertaker. We see New Day become something better, and the many familiar, safe hands of the WWE roster performing to the highest level. For every Cena and Reigns, there’s a handful of others who stand out for their consistency - Cesaro, Kingston, Tyson Kidd amongst them. Highlights across the three discs includes the NXT women eclipsing anything that many of the WWE Divas do, with Paige vs Charlotte for the WWE Divas Championship, as well as Paige vs Sasha Banks. Sami Zayn’s match against John Cena for the US Title is another stand out, as is the resulting Kevin Owen’s appearances. Brock Lesnar imposing presence is well represented, especially considering his relatively light work schedule, as is The Undertaker and departure of Daniel Bryan from active competition, albeit in through the “In Review” segments. Whilst it does provide a broad representation of WWE Raw and Smackdown, with almost eight hours of content across three discs, there’s only superficial depth to what is well presented in the customary WWE TV quality style. Additional context is provided with the monthly wrap up videos and the alternate commentary tracks, but it’s a boxset really aimed at the casual WWE fan or the completists. Taking into consideration that, even with the broadcast delay, all the matches from 2015 that feature on this three disc set are available as part of Raw and Smackdown on WWE Network, it’s almost as if The Best of Raw & Smackdown 2015 exists as a sampler set, albeit an unacknowledged one. Welcome to the WWE's final PPV extravaganza of the year, hailing from Boston and hosted by the usual crew of Michael Cole, JBL and Jerry Lawler. To open up the show is a nice video package building up the main event of Roman Reigns challenging Sheamus for the WWE title, with all the back story of Reign's getting screwed and Sheamus's short lived 5:15 T-shirt although you'll spot a surprising number in the crowd. First up we have the 3 Way for the tag titles in a Ladder match with the New Day defending against the Usos and the Lucha Dragons, the New Day do a promo to open things up which is a bit hit and miss before Xavier heads to the commentary table to add some much needed quality. The match itself is a very entertaining stunt fest where everybody gets to show off their talent but with the clear highlight being the Slammy Award winning move when Kalisto hit the Solida Del Sol off the ladder near the end. Finish comes when Xavier realises that he can use his trombone in more ways than one. Sadly match quality takes a bit of a hit when Ryback faces Rusev, it's clear that Ryback tries really hard and his missile dropkick is surprisingly good but also that both the company and the fans have given up on him. It's great to see Rusev re-united with Lana as they are much better off together, the finish came when Ryback for the second straight time was distracted by Lana faking an injury leading to him getting distracted and shortly ending up in the Accolade for the loss. 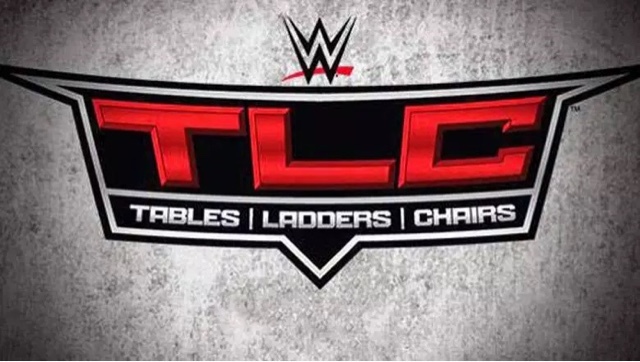 Out of the concept matches on the TLC show, it's the Chairs match which is probably the hardest to work. Alberto Del Rio and Jack Swagger tried hard in this US title match but the match was hurt by everyone knowing that Swagger had no chance of winning. The fans did enjoy shouting 'We The People' though, to no surprise Del Rio successfully retained following the double stomp onto several chairs. Onto the Tables match where The Wyatt Family take on Team Extreme (The Dudleys, Tommy Dreamer and Rhyno) this was fought on a elimination basis where all members of one team had to be put through a table. Personally I felt this was terribly out of place, Dreamer especially comes across as someone from a different era and the commentators really shouldn't be harping on about ECW Originals as the company died in early 2001. The match did have some cool spots, mainly from Luke Harper and the match did ensure that both Bray Wyatt and Braun Strowman came across as monsters but the fans were not given the chance to see Bubba making a grand comeback as his foolish attempt to set a table on fire was both unbelievable but also led directly to his doom. Kevin Owens was next up defending his I-C title against the man who eliminated from the WWE Title tournament at the Survivor Series, that being Dean Ambrose. These two worked really well together and had the fans reacting to pretty much everything that they did. We also saw a title change as Dean managed to reverse the pop up Powerbomb for the win. Another title match followed but they didn't have the fans attention was Charlotte defending the Diva's Title against Paige. This was mainly because the WWE decided that Charlotte is much better as a heel (that's true) but forgot that Paige has done nothing to make anyone actually like her. The result was that the fans had no idea who to cheer for. Charlotte also needs to stop doing all her dad's moves as it makes her come across as a cartoon caricature, she did though retain after Ric's interference distracted Paige for the finish. Main event time as Sheamus defends the WWE title against Reigns, Reigns is still not being embraced by the fans as they still see him as someone the company is forcing upon them. They aren't too keen on Sheamus either. On the plus side both guys try really hard and work some hard hitting and creative spots in. Reigns looks to have his redemption before Sheamus's League of Nations friends (Del Rio and Rusev) swing the tide in the champion's favour. This is the setting for the best thing on the show when Roman Reigns cannot hide his frustrations anymore and beats the hell out of Sheamus, Del Rio and Rusev. That leads to Triple H and Stephanie of all people coming out to try and calm him down. The fans are definitely excited to see the showdown between Hunter and Reigns and are delighted to see the leader of the Authority left laying on a broken commentary table. Roman leaves to 'Thank You Roman' chants and the WWE direction of 2016 has been set, it's Roman Reigns vs. Triple H.
The DVD also features as a special feature the PPV kickoff match where Sacha Banks beat Becky Lynch thanks to yet another distraction finish, a standard TV match and nothing like their classic NXT match.